Whenever it comes to vehicles and vessels, the speed matters. Even more when the comfort is not compromised. 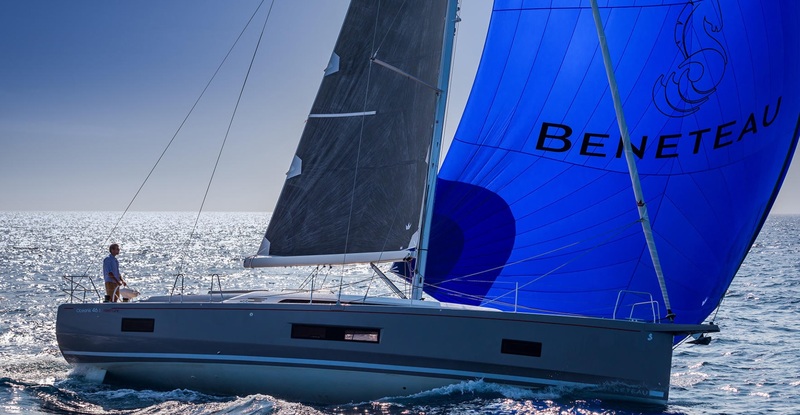 Followed by this assumption, the French boat builder, Beneteau, presents their brand new Beneteau Oceanis 46.1. It is a minor version of their successful Oceanis 51.1. 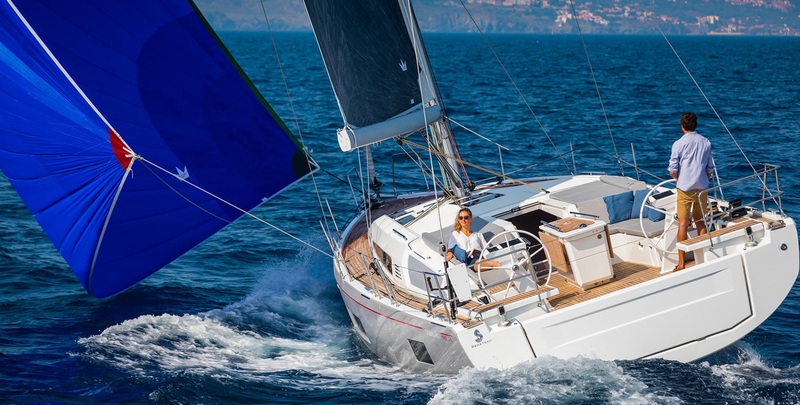 The highlight of the new model is a 4.5-meter-wide stern along with a stepped hull (also inherited from Oceanis 51.1), which ensures high speed performances. When we take into consideration four cabins and four heads all included within a 14-meter-long hull, one has to conclude it is a remarkable yacht. 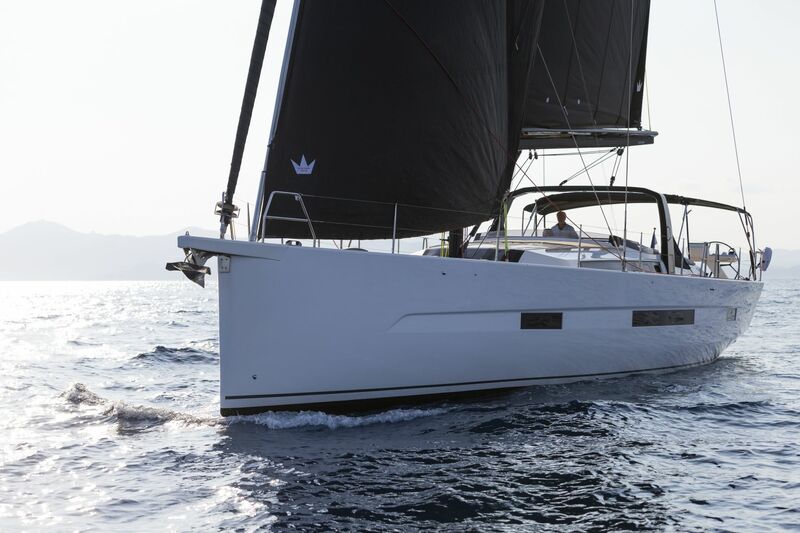 Beneteau Oceanis 46.1 is based on a Finot-Conq plan combining fine performance at sea and a huge amount of space, using the cockpit beam optimally. Her deck plan is described as “efficient, safe and easy to use”. I would add elegant too. All the sheets and controls are brought back to the single winch on the both sides of helm stations, leaving significant amount of space to sunbathing area at the bow and cozy lounge area within the cockpit. Two comfortable settees in the cockpit are useful and comfortable for sunbathing and chilling, or a seat during lunch break or dinner. The entire deck is as flat as possible, ending with electric opening transom at the stern. Once again, we meet the combination of safety and comfort. However, when we scratch the surface, we would find a true performance beast in the shape of Beneteau Oceanis 46.1. The secret is not so obvious on the first sight, but something which makes her different is definitely there. The competitive pedigree is based on twin rudders, a taller mast and a deeper keel. Along with performance sails set and distinctive chine edge running from bow to stern, this elegant lady turns into a fast and furious yacht, respectful on the race course. The sails plan for more leisure-like sailing consists of a 44.5 m2 in-mast furling mainsail and a 44.1 m2 self-tacking jib. The classic mainsail’s surface amounts to 54 m2, while 105% genoa’s surface amounts to 58 m2 (optional). A 102 m2 code zero or a 152 m2 asymmetric spinnaker are supposed to be attached on a fixed bowsprit. With such performance sails plan, the mast would be one meter higher than the standard 2 spreader mast that is 20.31 m high. 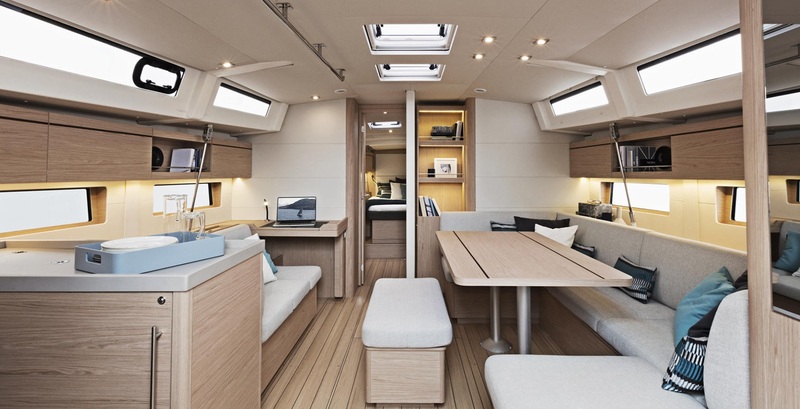 Accordingly, performance draught amounts to 2.65 m, while standard (deep) draught amounts to 2.36 m. There is a third, also optional draught version offered – it is shallow draught that amounts to 1.75 m.
The interior of Beneteau Oceanis 46.1, designed by the Nauta Design, abounds with natural light all over the place thanks to large windows and portholes both in the saloon and the cabins. Interior layout is offered in four versions, depending on the buyer and the purpose of the yacht. The most luxurious layout includes three cabins, each including its own head. The master suite is in front, hiding a king size 160×205 cm island bed. Less attractive version with the master suite would be one with three cabins and two heads. 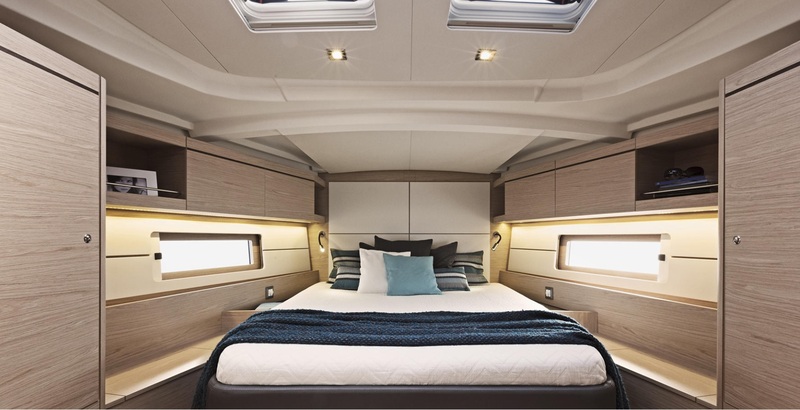 So-called charter versions include four cabins and four heads, while the version with five cabins and three heads includes one cabin with bunk beds. 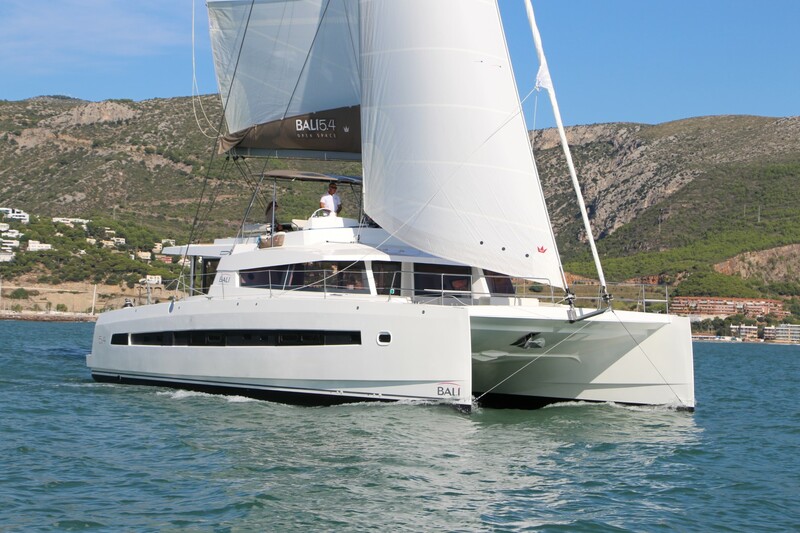 Beneteau Oceanis 46.1 is powered by a 57 HP engine as a standard. The fresh water tank capacity is 370 L, while the diesel tank can load as much as 200 L. Although Beneteau Oceanis 46.1 is many times mentioned as the successor of (also successful) model 45, or even its ‘refreshed’ or ‘facelifted’ version, I believe it is a whole new yacht. The elegant appearance, nice performances and maneuverability along with her comfort, there is no doubt that this model is going to bring many smiles to both private owners and charter clients this season.